In spite of being a city girl and a lover of high heels, when I am wearing a casual outfit and I am surrounded by the nature, I feel very happy and free. 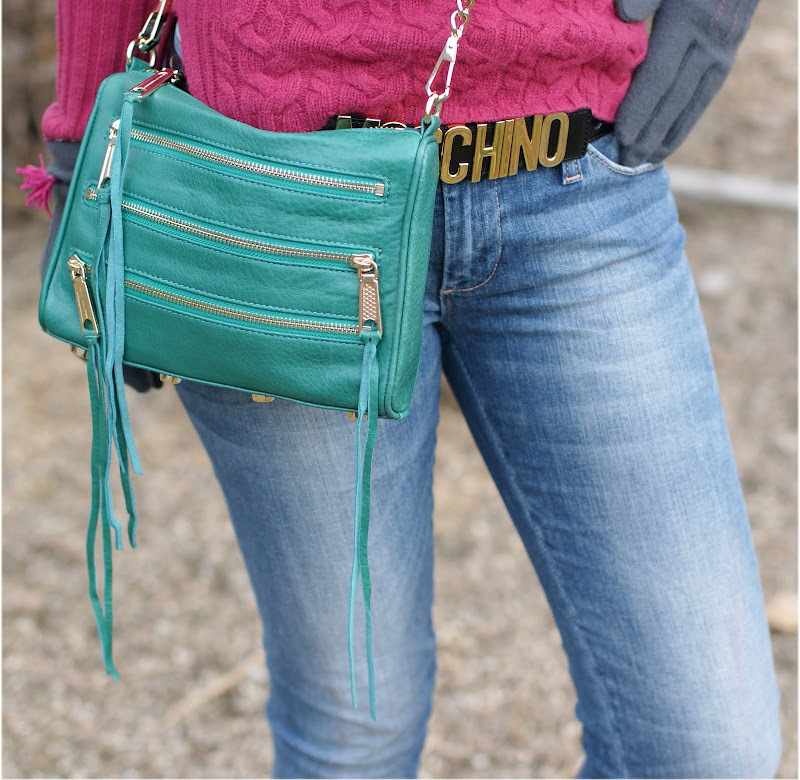 This outfit is from my days on the mountains, and it features my new Moschino hat and gloves and one of my Christmas presents I didn't show you yet: a Rebecca Minkoff mini 3 zip clutch in emerald green, that I will be wearing a lot also in Spring, no doubt about it !. Nonostante io sia una ragazza di città e amante dei tacchi alti, quando indosso un outfit casual e sono circondata dalla natura mi sento particolarmente felice e libera. Questo look risale ai miei giorni in montagna, quando ho indossato un nuovo cappello Moschino (come i guanti) e una borsa regalatami a Natale, che non vi avevo ancora mostrato: è una mini 3 zip di Rebecca Minkoff, color verde smeraldo, che sarà utilissima anche in primavera, ne sono certa !. I was looking for a new hat, I wanted a colorful beanie and when I bumped into this one and tried it on, I ended up liking it even tho in the beginning I didn't want any evident logo on it. I have a collection of Fendi beanies I am sick and tired of wearing just cause I am tired of logos, but Moschino logo is always fun and ironic. Of course, I think it's more suitable for sporty/casual outfits like this one. I love the pink tassels on the gloves !. Cercavo l'ennesimo cappellino in lana con un po' di colore e quando ho provato questo ho finito per innamorarmene sebbene non volessi qualcosa con logo evidente. Ho tanti cappellini di Fendi che non uso più da tempo proprio perché stanca dei cappelli con logo, ma almeno il logo Moschino è più ironico e divertente. Ovviamente, questo cappellino è più adatto a look sportivi/casual come questo. Amo le nappine rosa sui guanti !. I am so in love with this Rebecca Minkoff bag, in spite of it being quite small ! The leather is very soft :-). I have already used it with a more elegant outfit without the shoulder strap, as a clutch, I will show you soon ;). You can see the bag better in the pic below. La borsa di Rebecca Minkoff mi piace veramente tanto, è di una pelle morbidissima ed è rifinita molto bene, non è facile che una borsa di dimensioni ridotte mi piaccia così ! 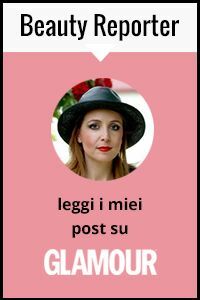 L'ho già adoperata anche con un outfit elegante togliendo la tracolla e portandola come clutch, presto vi farò vedere ;). Potete vederla meglio nella foto sottostante. The sweater is from Hugo Boss and I like its color so much, plus it's very warm and cozy. You already saw the studded biker boots in a previous post. Il maglione è di Hugo Boss e mi piace tanto il colore che ha, inoltre è molto caldo e comodo. Avevate già visto i biker boots borchiati in un post precedente. 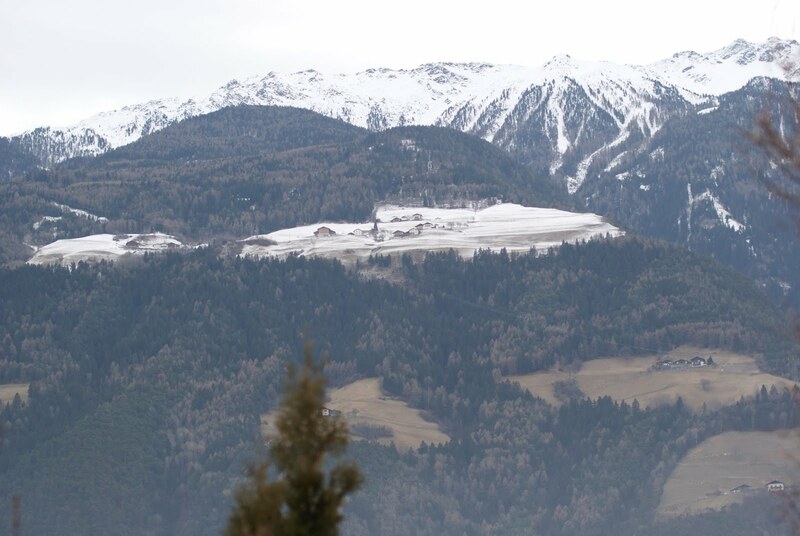 I really needed a few days on the mountains, they always recharge me, what an enchanting and relaxing place !. Shame they are already a memory !. I think it's a great thing to change your environment for a bit. Now I am back to my town and to the sea...and should I add, to my heels !. I love them both, but I am curious to know...Do you prefer the mountains or the sea ? Avevo proprio bisogno di qualche giorno in montagna, mi ricarica sempre, che posti incantevoli e rilassanti, peccato siano già un ricordo !. Non c'è cosa migliore che un cambio di ambiente per qualche giorno !. Ora sono tornata alla mia città, al mare e...ai miei tacchi !. Io li amo entrambi, ma sono curiosa di sapere...preferite il mare o la montagna ?. 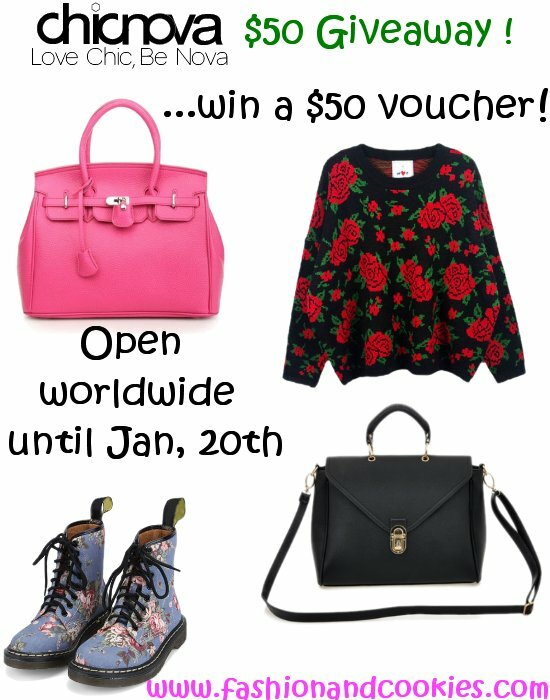 REMINDER: CHICNOVA $50 GIVEAWAY !!! Don't forget about the amazing international giveaway going on this blog, you can win a $50 gift card on Chicnova to buy whatever you want to, it's up until January 20th, you find all the rules and the form to enter clicking here !. Good luck ;) !. A me piace moltissimo in versione casual, tanto piu' se vedo un look cosi colorato!! Such a wonderful boots and sweater!! I like your style very much! Oh my, you look so adorable! I love fuchsia and turquoise together! Totally love that bag! Beautiful pictures! I love that sweater. Your hat goes perfectly with it. I like that retro vibe it has. Molto bella la borsa e mi piacciono molto anche gli stivaletti! Could really understand you. Normally I´m really into high heels but for some casual days I prefer flat shoes, too. You look really cool and colourful in your outfit. I love your rebecca minkoff 3 zip clutch bag! :) I have the mac 3 zip one. I LOVE that rebecca minkoff bag! You look so cute and so comfy. the bag is heaven and that sweater looks great on you with that belt!! Loving all the great colours in your outfit but especially love those biker boots, they're fab! Love the color of you bag! It goes so well with this pink! Lovely pictures. I like your belt. OMG havent been here is sooo long.. I love the color of your sweater, matches well with the jeans. I recently made a cute DIY Disney Princess room decor. Check out my blog for more DIY projects, OOTD, beauty reviews, and much more! Ciao tesoro, sei stupenda anche in versione casual e la tua nuova borsa è divina. Sono certa te la vedremo spessissimo eheh! sai in versione sporty chci stai comunque molto bene e poi la borsa è adorabile tocca che te la copio lol! Io amo il mare e odio la montagna e si è visto quando la scorsa settimana sono andata a cortina per lavoro e mi sono presentata con hunter e cappello con logo (orribile) di Guru hahaha!! love how you play with those colors! I love the bag and the boots! Hello from Spain: beautiful pictures on the mountain. I like the pink jersey. Boots are also very comfortable for the field. Very cool. We keep in touch. Buona serata cara, c'ho un sonno!!! Domani altra riunione ma che avremo da dirci??? Sweet bag! That sweater really slims you and the color is gorgeous! love your look! great pics! davvero carinissima! Adoro la borsa, sia per il modello che il colore! Such a cute outfit! Found you on the SITS forums, following you!